This week has stunk in terms of just about everything. My daughter is barely walking (with good chocolate bribes and under pain). My younger son was home 2 days with it running from both ends. Ewww!.. He admitted to eating a berry off of a Barbery bush on Monday, but when Sophie got the symptoms a day or 2 later, I learned that the berry was basically benign. So my husband was busy worshipping the porcelain this morning - actually I caught him sitting on the porcelain, puking into a trash can that he had to dump onto the floor. Poor guy! Now my tummy is not sick, but it is not happy either. 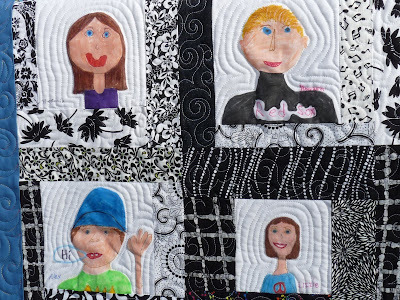 I haven't really quilted in a few days because it was too hard to stop when I heard one of the kids on the monitor, and run up 2 flights of stairs to see what they'd produced for me to clean. 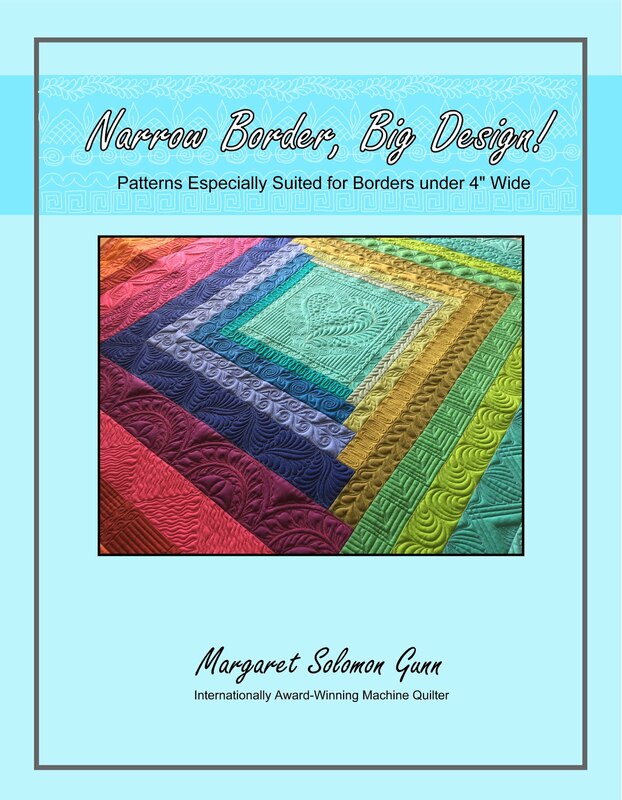 I've been puttering on designs for a new quilt to start - kind of a long term project intended to be finished next year sometime, and using the new Northcott Stonehenge fabrics I got recently. I want it to resemble some of the mosaic work I have seen on Italian marble floors. This is probably nowhere near my final layout, but an initial concept anyways. Managed to get these blocks sashed in a soft butter yellow. 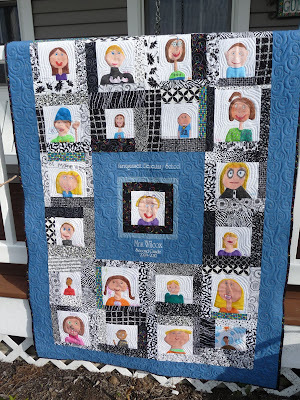 The picture stinks, but I think it will be nice quilted. And I cut into some of the new greens to finish off this set of blocks too. I was very luke-warm about them a week ago, but after pulling out a few of the more kelly-colored ones, I am really feeling the greens. I have ivory for the sashings. So many people gravitate for the white, but I just hate the harshness of white unless the colors dictate that level of crispness. These all have tones of ivory in them so it seems like the logical choice. I have a lovely applique & block sampler on the LA right now. It's sweet, nicely colored, and really pretty fabrics (from LakeHouse Dry Goods I think). I worked on it for a little this morning while Sophie actually went to her last day of preschool until September, but this afternoon I couldn't get into it. WHen I feel crummy, my creativity suffers. It was better to chip away at some of my Bee blocks which are more mechanical than creative. Afterall, the end of the month is fast approaching. Next weekend we are having my 6yr olds birthday party. What do I do with these kids (5-6 total)??? I've never had parties at home - we've always went to a museum or ChuckECheese, or this year, bowling. I have no idea what type of game(s) to do with these kids. HELP!!! Birthdays are not as fun as they used to be. I hate the thought of being more than half of my useful and happy life. I want to be young like her again! My irises are gorgeous this year, but she was not to interested in standing in front of the bed with the most number of them. Her casts have been off almost a week and I'm just angry and sad that nobody told us how insanely hard it would be after she had her feet back. She had fun today splashing in our kiddo pool though! So, as alluded to previously, I had a birthday. It's not a markable number like 30 or 50, but will be soon enough. My family finally all (and I mean each and every one of them) figured me out this year. No gift certificates to stores I dislike, and things just plain unneeded. OK, sarcasm - like I need 30 more yards of fabric??! Of course. Who doesn't. This set of batik FQs came from my MIL, with a little assistance from my husband. They may be used to cover a couple living room throw pillows, eventually. My husband got me the EQ7 upgrade, but that isn't coming until next month. My mom also got me two of the additional block libraries. I'm particularly obsessed with designing a quilt that will look like an Italian inlaid marble floor, and will use some kaleidoscope blocks. I also found the Northcott Stonehenge line which looks just like marble. Before my birthday (I kind of didnt think anybody had gotten me fabric..."grins"! ), I had a little shopping spree. I selected several of the Stonehenge prints, some solids, and other (ha ha, just wait). But then my mom brought my bday present Sunday and low and behold, she had been Stonehenge shopping too! And a few coordinating Fairy Frosts as well. Did I say they all nailed it on the head this year or what? And of all that I bought, we only duplicated one piece. Mine are below. I got a few more of the gold toned ones, and a few Bella solids for works in progress. Today, my other order arrived from fabric.com. DO you see a trend?? Did I have green on the mind?! They are so yummy I can hardly stand it. I am also done piecing the top for a commission quilt. It now goes into the queue of things needing to be quilted before I go on vacation! And one last peek at a work in progress. It is a rather simple piecing to say the very least. I have modeled the blocks after the Mod Sampler quilt along that Elizabeth Hartman did last fall, but modified it a little since I don't like all of her blocks. I threw in a couple aqua and brown blocks for giggles too. I have another one started that is in just greens (hmmm, maybe some of the fabrics above will appear in it!). Those that know me know how much I loathe brown so this is a real stretch. I want to get a couple of more modern-ish quilts made and listed on Etsy before the fall (Christmas cash, ya know! ), and I have finally decided to dip into the stash I got last fall at the Linus blanket event. Now, I must spend the rest of the week starting an applique quilt and making some May bee blocks. Procrastination must end there. 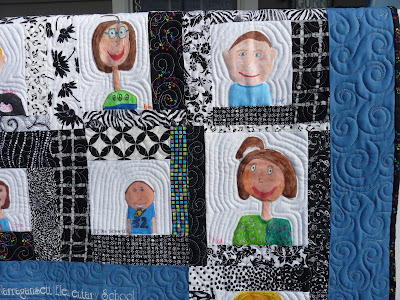 Amy is once again running her Online blogger's quilt festival. If you have never seen this, you ought to block out several hours over the next few days and sit down and check out all the great work. 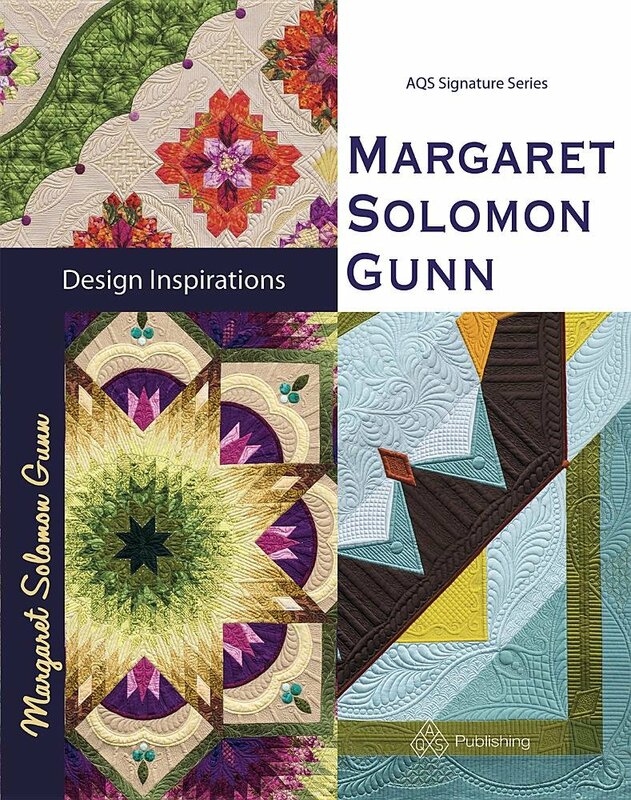 At the above link you will already find over 200 people's URL's with a posting of their favorite quilts. I have many favorites, but don't want to duplicate what I have posted previously. Similarly, I really wanted to post this quilt, but the darn thing is just not quite finished. So, I present to you my newest finish..."Vintage Summer". I quilted this in the early spring (actually pieced it last fall and never got around to finishing it). Then on Tuesday morning, I realized I had no hand stitching so I quickly attached the binding. It is a nice lap or beach size, 54"x60". I fell in love with the Elizabeth Studios beach fabrics last year. They were just so sweet and nostalgic, and reminded me of watching my 3 kids play in the surf with their 2 cousins. The five children in one of the images were those 5 exactly. Besides, the summer beach season in Maine is very short, so finishing this was of the essence. The piecing and quilting are very simple, given what I usually do. I wanted the fabrics to be the focal point for a change. I quilted it with a meandering wave pattern. ...and a nice beach scene with lighthouses and boats. 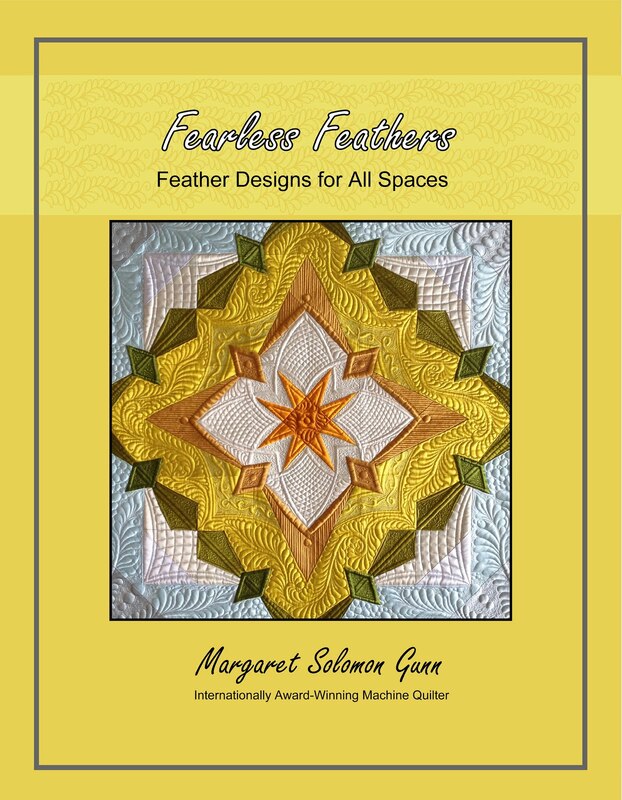 Because I know that this posting will receive a good bit of traffic during this quilt show, I have to put in my two cents worth of advertising for my quilting business! 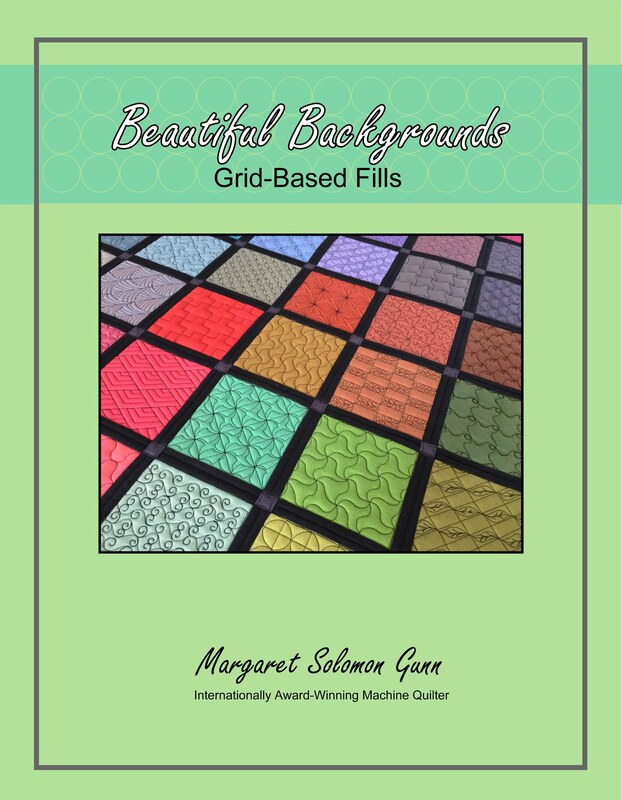 I am a longarm quilter, and receive about 90% of my business from internet viewers - ones that find me via this blog and ones that find my pure business website. I hope that you find time to peruse other recent quilts I have quilted, some my own, and some for clients. 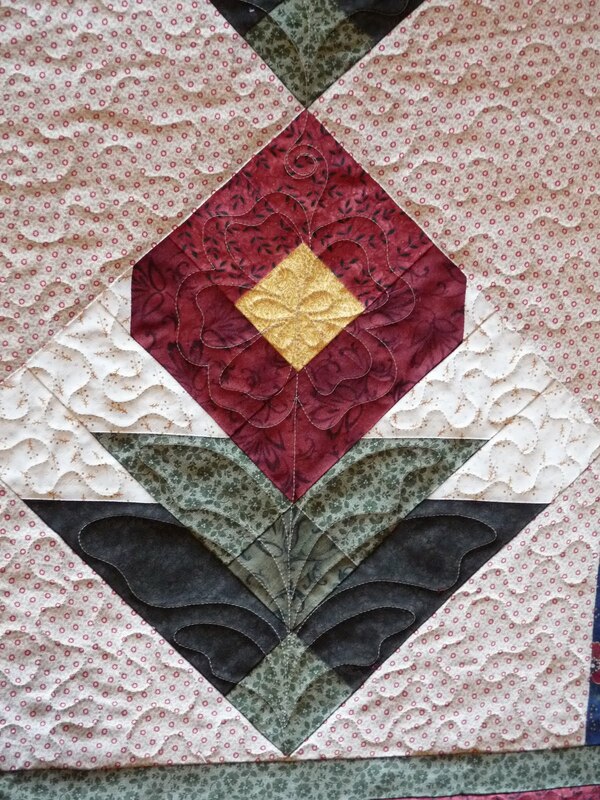 And if you have a quilt you'd like professionally quilted, please contact me. Have a great time looking at all of the fantastic blogger's quilts! She has more courage in her two little feet than I do in all of my being. The last 6 weeks have brought us 2 surgeries, casts on both legs, and now what I am quickly learning - a recovery that will be anything but quick or guaranteed. We went into this ordeal holding fastly to the belief and hope that she'd have the surgery and then we'd be done with braces for good. I learned today that this may not really be the case. Gulp. So this was this morning. Sophie had asked repeatedly to have her toe nails painted. I finally got around to doing it on of all days, the day she was having her casts removed. The last 2 weeks have been harder than I thought. I expected as time went on, walking and mobility would get easier. We found that the compacting cotton inside the casts just made them much less comfortable. Constant chafing is does not feel good. She was very ready for today. That is until the cast saw came out and she saw just how they were to be taken off! A jacuzzi bubble bath! Her favorite! I let her scrub away the weeks of dead lizzard skin that was on her legs and feet. Even after 45 minutes in the tub, they were still scaley! Maybe she can hit up Nana for a pedicure appointment (he he). 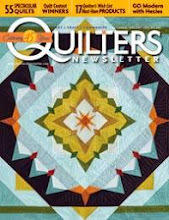 Now if you are squeemish, this is where you should go find another quilty blog to peruse. But if you are curious what she really had done, keep looking. Until tonight, I must say I only speculated what that doctor did for four and a half hours. Her left foot was more invasively repaired, but the incisions are 4-5" and completely enwrap her ankle, around the achilles tendon. I think that the right foot only had the achilles or heel cord lengthened. But in the left foot he did the achilles as well as 4 or 5 other tendons within the ankle joint itself. I am amazed that the scar is not more evident. There is visible swelling though. It's very nice to see that foot going to a 90 degree angle all on it's own. ...another peek at the carnage we call my daughter's feet. I know that this is far better than any other birth defect I could ever imagine having to live with, but I have just had enough. Time for life to return to normal for this kiddo. As I said yesterday, I had a client send me the most beautiful quilt. It has an even sweeter story. Her 100 year old grandmother made the half-square triangles, and as I understand, assembled some of them into the 10"x19" units that make up the body of the quilt. They are made from reproduction (or perhaps they are authentic to the era, I'm not sure) fabrics from the 20's and 30's. I wondered if it were initially destined to be an Ocean Waves pattern, as shown above (from a current magazine). That was a common pattern made in that era. It is all immensely cheery. Now normally I cringe at quilts with a lot of white. I personally hate to sew with white. I cannot keep it clean to save my life. There's those unpredictible finger pricks, and unavoidable dirt. And it would just never stay white on any of my beds! So I knew I had my work cut out for me with this! The owner specifically requested something "fancier" in the plain sashings. They are mostly 3" wide, so that left many possibilities. To make my job more challenging, the white that borders the blocks is both 2.5" and 2"! Just when I had my feathering groove, I'd start another section and have to rethink the rhythm. We had originally discussed quilting something like curved cross-hatching or something simple and geometric and typical to that era in the HST's. She wanted something that would not accentuate how unexact some of them are pieced. There are a few places where as much as 3/4" is chopped off of a triangle point. Unfortunately, after trying to quilt the curved cross-hatching in one block, I found that the actual HST blocks vary anywhere from 3.375" to nearly 4". After cursing a bit, and ripping out the entire block, I decided that an all-over pattern with no regard for geometry was going to have to be quilted instead. 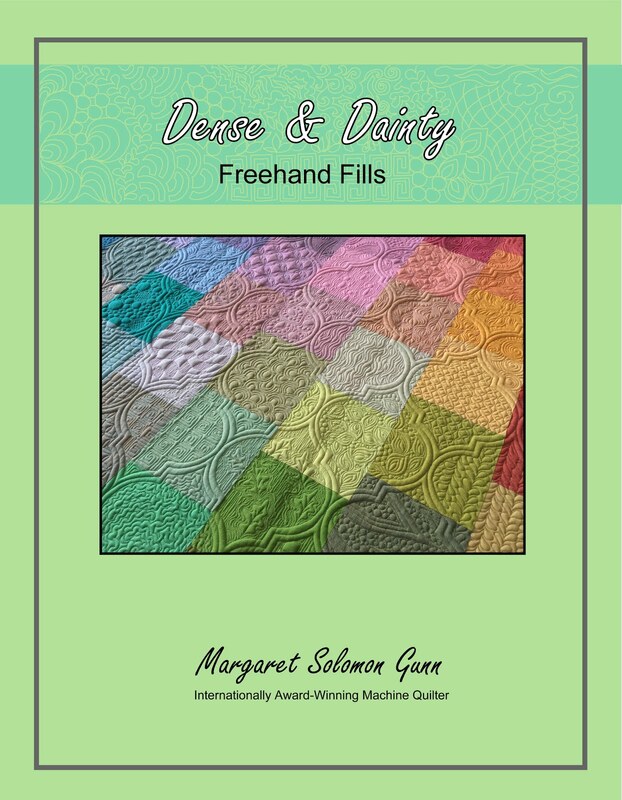 I have used this swirly-feathery-freehand several times as a block or quilt all-over and like it. It flows well and is easy to fill with the echo. Hope Wendy likes it OK too. In the end, it only really provides texture and really takes a backseat to the feathering. The yellow is quilted with a coordinating yellow thread. I chose to do swirls because there were just enough feathers on the quilt! I really love how they look. There is one stripe on the back of white fabric, where the yellow quilting is evident. The rest of the back shows wonderful texture. This has got to be one of my favorite quilt backs to see! I wish the transient beauties that define spring were not so short. The lilacs are in bloom now here and the scent is totally intoxicatingly sweet (almost as sweet as that angel behind the lilacs!). They don't cut well - wilted before I went to bed, but it's a shame not to have that sweet smell in the house for a bit. This is a shot from my alltime favorite tree - crab apple. They are really quite ugly, almost gnarly in shape sometimes. But when they are covered with the deep pink blossoms, it is magical. Just magical. And they too are so sweet to smell. Yesterday was my husband's birthday. My daughter had recently watched an episode of Ina Garten's cooking show, and decided that we just HAD to make that cake for Dad. I told her that either looked like a wedding cake or a girl's cake, but she didn't care. So...Thursday's task was a two-tier pink chocolate birthday cake, complete with sugar pearls on the flowers! Yum! And since this is supposed to be a quilty blog, I leave you with some of this week's piecings. I have a commisison quilt to make. It is supposed to resemble this quilt. I informed the customer that these blocks were from a swap, and I could not exactly replicate them, nor was I going to try because that is an insane amount of cutting. I am actually making it larger than that quilt, but have scaled down the cutting by making it from a fense-rail 6" block rather than those more time consuming colorblocks. I have all but 7 of the 120 blocks made up and have only duplicated fabrics 3 times! Not bad...I have so many fabrics and scraps in my stash. I really could probably make it 3 times that size without duplicating if I tried harder! It will still be cute, even with a slightly simpler block. 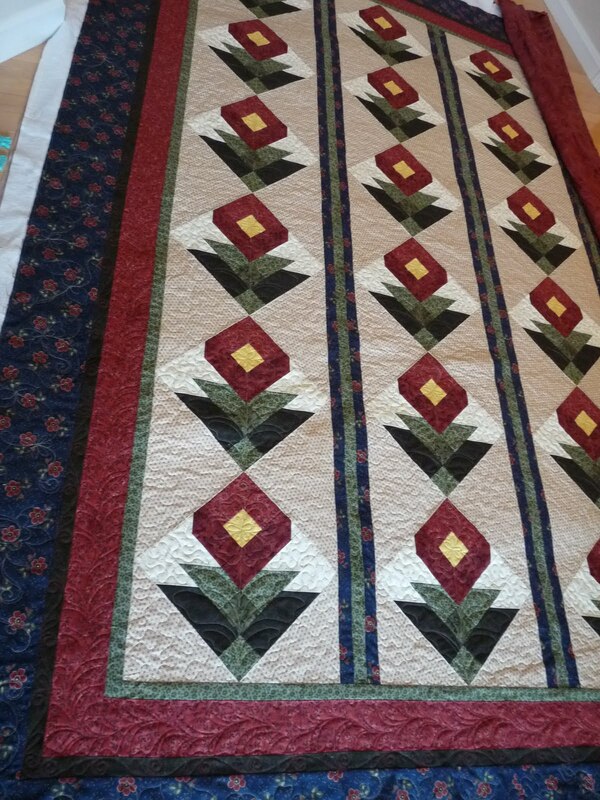 I have been longarm quilting a great quilt. It's made from reproduction fabrics from the 1920's. The blocks were made by the client's 100 year old grandmother! Actually, I do not know if they are authentically from the 20's or if they are repros. At any rate, I cannot wait to take this off the frame tomorrow to photograph. It is out of this world fantastic - I love it a lot! So stay tuned for pics of it next week sometime, along with other goodies! Warning: This quilt is seriously cute. No, ridiculously cute. And no, I did not do all of this insanely gorgeous applique either. It came to me from a new customer. One that is just getting into applique. I'd say that this is the best hand applique I have seen. I myself have been appliquing for years and am not this good! No sitch is visible. There is no bulk. And it's not cheater fusible applique - the real McCoy. Like I said, pretty amazing. 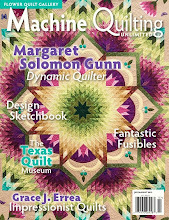 Almost to the point of making me fearful to be her quilter! I think and hope she'll be happy with the product I send back to her. But it was a total blast. A creative vent of epic proportion. That is, when I was not very carefully and slowly ditch outlining EVERY stinking applique! Holy cow, or Holy big bad wolf, there were a lot of appliques to go around. Thankfully, they all had a similar color background so I didn't do that much thread color changing until I got to the really detailed outlining of things like cats and wolves and button fllower centers. This post is picture heavy, but they are SO adorable. I was intending to do this heart & feather plume on all 4 borders but it was really hard to see on the top border so I vowed to do it only twice (or risk fouling it up royally!). The quilting always shows more once it's untensioned. My goal was for a sampling of background fills. I hope that the owner appreciates the whimsy. She sent me a picture of the finished quilt (presumably by the designer), but in my opinion, the quilting of the background is sparse. And a tad boring. Too much stippling makes me nauseaus. The only area I stippled was around the wolf in gramma's bed (below). I wanted the stippling to help make the pillow pop off of the quilt. It did just that. The pillow is downright fluffy! This is one of my favorite blocks too. I like the hidden heart inside of the wreath. And the swirling fill - I have seen this done but had never tried it myself. It is a bit tedius, but OK for smaller spaces. I'd never do this on a large quilt. This cat and mice is absolutely incredible. I should have stuck a ruler in the picture. Each mouse is only about .75" long. Not so amazingly, I decided not to ditch outline each of these rodents. I am most partial to big yellow cats, so he's pretty sweet in my book! Little Red Riding Hood is at the quilt's center. Her face is so incredibly stitched so do take a double click and look. The eyes and the pupils are all fabric. More teeny-tiny stuff to stitch around. All I can say is thank goodness for multi-color sets of sharpie pens to dot out those errant white stitches! How she appliqued those tiny tendrils, which are not 0.25" wide is beyond me. On this dreary and rainy May morning, I'll start this post with a sneak peek of the back of my quilt. It has been hard to photograph accurately because of dim inside lighting and rain & clouds outside. The back is actually the same dark navy blue and plum that are on the front. I just took the picture looking into the light so as to capture the texture. I am still contemplating redoing a few things before I bind it, but as time goes by, I am becomming more and more accepting of how it looks. Last week, I ditch outline stitched every single applique. And there were A LOT! 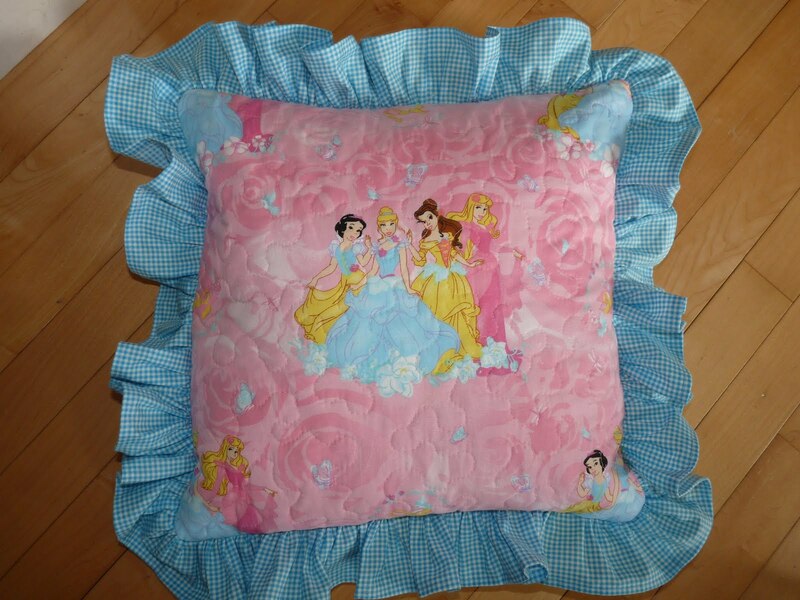 And an easy afternoon sew for my daughter, who was destroying and soiling one of the more decorative pillows in her room - one that does not remove for washing. I actually quilted this on my Singer, and was painfully aware of how long it has been since I FMQ'd by moving the fabric! YEOW - it was hard. She's all about pink and princesses and fairies, so when I found this fabric for $3 at fabric.com, I could not resist. And one very large queen quilt I did for a local lady. I'm not a huge fan of the CW fabrics (or maybe they are just overly traditional/Americana), plus they all had a pattern which made doing detailed quilting harder. For example, I started to feather the tan (tan print) setting triangles but couldn't for the life of me see where I was going. I picked it out and did something I hate to do - stipple! Stippling is hideous quilting. I really loathe it, but some places just are not worth the trouble or loss of eye sight to do something differently. For whatever it is worth, she loved the quilt and left another for me to do. It's got about 1 row left on the panto and will come off the frame today. I had not done pantos in quite some time and felt like a little semi-mindless quilting. That sounds bad, but seriously, some quilts look just great quilted with a nice all-over. And the 2 that I just finished doing it fit the bill for perfectly. I need to knock off some of the smaller, easier tops I have right now because I have several larger and more detailed jobs coming. The business has been very active this month. A nice change of pace...just hope I can manage to keep up once the boys are out of school in 6 weeks. 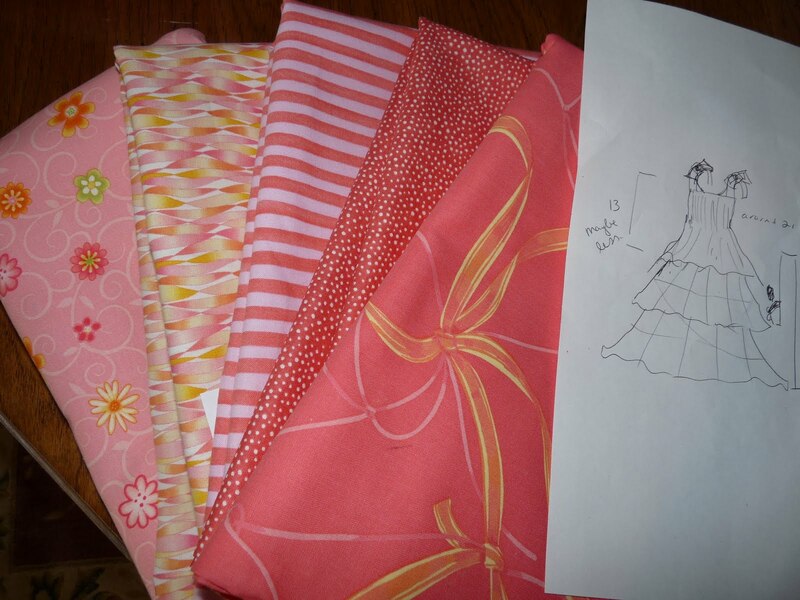 And...remember these fabrics? Well, the dress is nearing completion. Thought I'd show a peek at the smocking first. Have a good rest of the week, and pray for no rain this weekend. Not so for our Saturday forecast, and bad news since I am supposed to be doing a garage sale that day :-(( Bad garage sale translates to "no sewing $$"! The "thread basket" part of my MQX prize arrived today! I've never used YLI thread before (being quite partial to Superior!) so this will be fun to test out. I'm not sure where that bright variagated orange will find a home, but the others are all very usable! My 2nd grader's class quilt is all finished and ready to be delivered to his teacher this week. This quilt is so different from the first one of this type that I did 2 years ago. But they are both fun, and I love making such playful quilts. 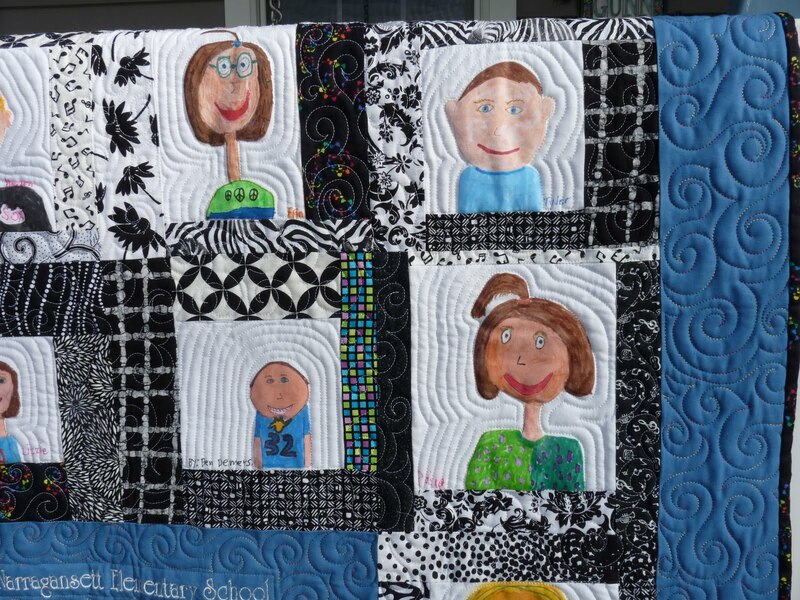 Back in February, I was asked by his teacher to come spend the afternoon with the class and teach them about quilting. It seemed almost an insurmountable task for 7-8 year olds! They were a fantastic and captivating audience. We talked all about Harriet Tubman and the importance of quilts to the underground railroad. I showed samples of the key patterns used in that day. I showed them several quilts and how they are made. They all listened and wanted more, much to my surprise. I had them make "quilts" out of paper pieces in different colors and fixed shapes. You can already see the left brains versus the rights! And then I had each draw their self portraits using fabric markers. These came back to me a few weeks later. Seriously, double click to get a closer look at all the great faces. I just love how they each see themselves. And the peace-sign craze amongst the girls is terribly amusing! Thanks ato the help of Michelle aka Calicodaisy, I got some fantastic machine embroidery on the center medallion. 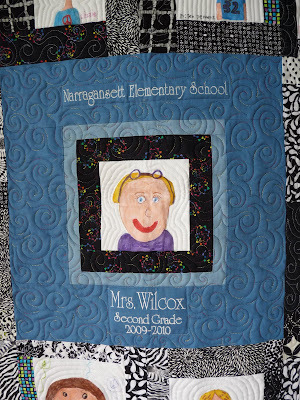 She did a great, great job, and it so enhances the finished quilt. I am so (SOOOO!) glad I though to contact her about doing it. Many thanks!! I was confused as how to quilt around (or through it!). I always get a flood of questions about how I design these type quilts. This one was kind of a "fly by the seat of my pants" task. My self portraits were ALL different sizes. No 8 year old can fill a 6" square. So I took a multitude of my black and white prints to frame each. The B&Ws seemed to be cohesive with all pictures. Then I auditioned the border fabrics. I knew I wanted either blue or red - very primal, youthlike colors. But more important than that, the red made the viewer see their smiles, while the blue made the viewer see their eyes. I liked the effect of looking into their eyes best -- almost as if we could see their souls. So here are a couple of the closeups. The quilting is also kind of simple and primal. The swirly quilting is in a red-blue-yellow Rainbow thread, and the white echo quilting is imprecise, but yet enough so that it draws you into the faces.